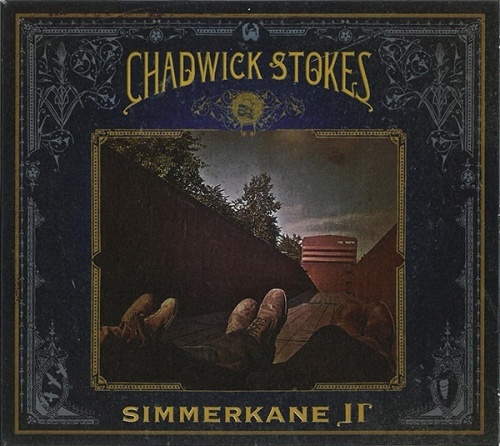 Simmerkane II is the debut solo album by Chadwick Stokes, who is known as Chad Stokes when performing as the drummer in Dispatch. The album cover depicts three pairs of work shoes on the feet of three reclining figures in the back of an open freight car in a train traveling through the country, and that's a hint that this is a concept album in which Stokes reflects on a journey of train-hopping across the U.S. There isn't an overall narrative, but the songs' stories are full of references to travel. More important is the musical feel; this is spirited folk-rock, earnestly performed with catchy choruses sung in Stokes' throaty voice over a group of backup vocalists that includes Carly Simon. It doesn't sound like Dispatch, for the most part, but it is similarly kinetic. The album is also available in a deluxe version that adds a second disc containing three bonus tracks. On these songs, Stokes is accompanied by the Refugee All Stars, a group of musicians displaced from Sierra Leone to Guinea during their country's civil war. The music is, if anything, even more compelling, particularly "All My Possessions (Ode to Troy)," set to a reggae beat, which, perhaps not coincidentally, is the closest thing to a Dispatch number on the disc.